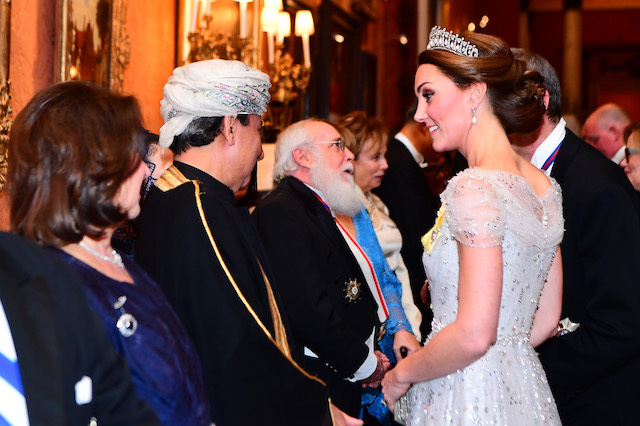 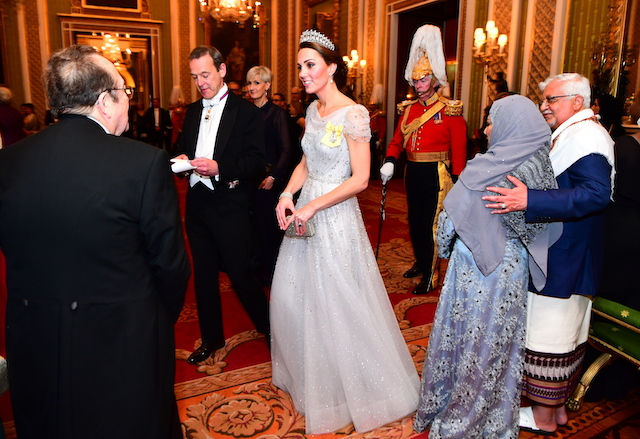 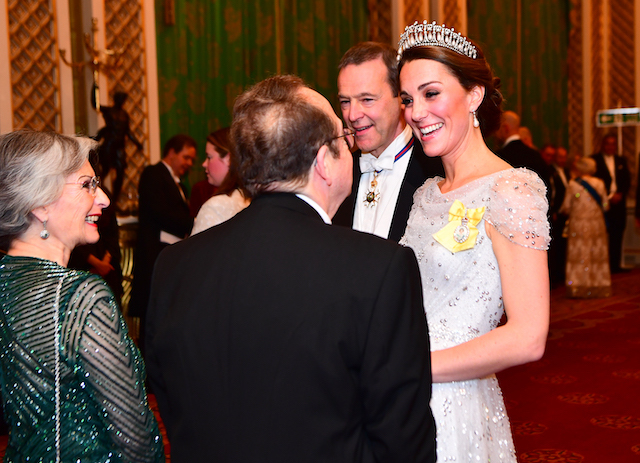 Kate Middleton definitely turned heads Tuesday when she showed up in a sparkling baby blue gown and diamond crown at a reception held at Buckingham Palace. 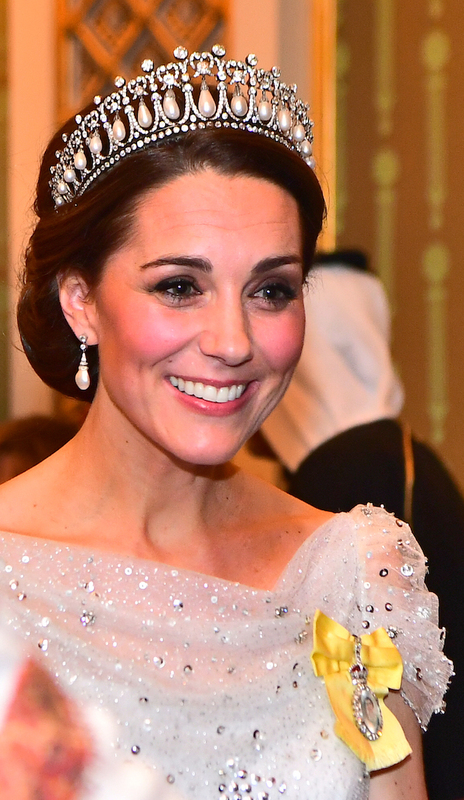 She topped off the gorgeous look with her hair pulled up in a fancy bun and the Queen Mary Lover’s Knot tiara, covered with diamonds and pearls, which was one of Princess Diana’s favorites. 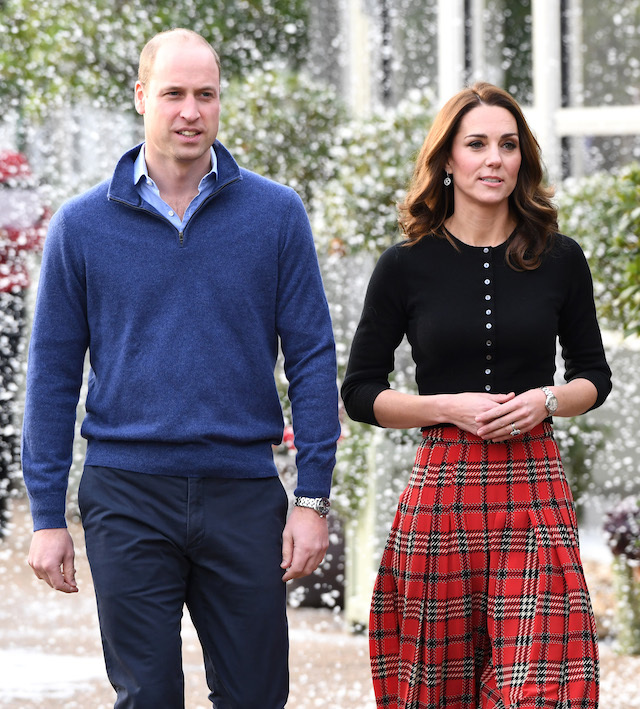 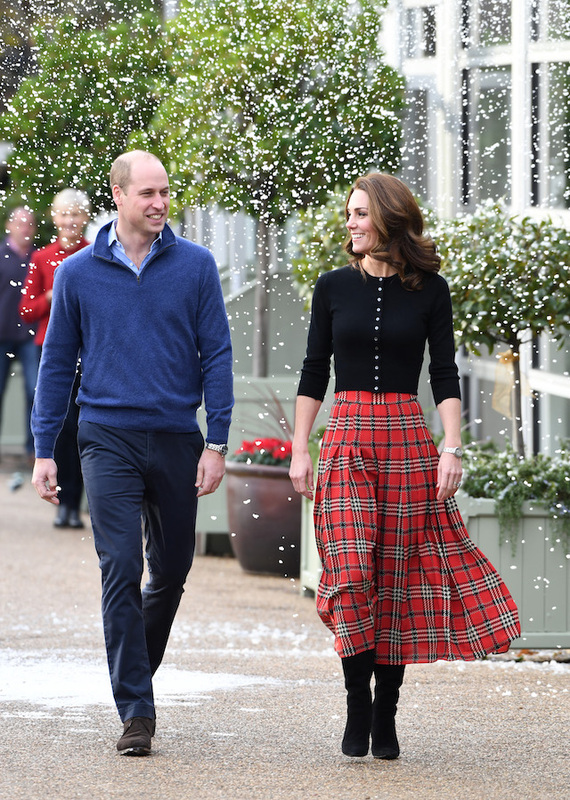 Earlier in the day, Middleton looked like she had stumbled right out of a Christmas card when photographers got pictures of her in a festive long tartan skirt she paired with a black top and matching boots as fake snow blew behind her.